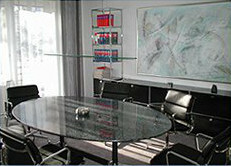 SCHRICK lawyers, based in Hamm, have been practising law throughout Germany since 1958. We are highly qualified and experienced in advising and representing small and medium-sized businesses, institutions and organisations, as well as private individuals and the self-employed. 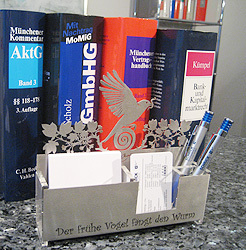 Our highly specialised team of lawyers has decades of experience representing clients in appeals and civil disputes before the Hamm Court of Appeal (Oberlandesgericht), where we have full rights of audience. The titles and qualifications of our lawyers provide further proof of our knowledge, experience and specialisation. On 1st June 2007 we opened a branch office in Bocholt. As a law firm focusing on company law, we advise and provide a full range of legal services and representation in all areas of our specialized fields. Our aim is to provide legal, commercial and practical solutions in all matters based on our technical ability and problem-solving skills. Given the wide variety of skills that are needed to provide top-quality legal advice and assistance, we have developed a network of specialist advisers, such as trusted accountants, auditors, patent agents, consultants and other law firms, such as FRTG Law@TaxConsult. Our aim is always to ensure the best possible advice and result for our clients, whilst ensuring the highest levels of business efficiency. 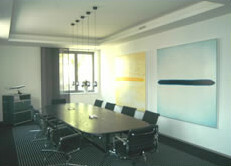 you in our offices in Hamm or Bocholt.